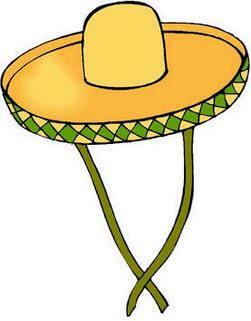 A golden sombrero is awarded to a player who manages to strike out four times in a single game (real golden sombrero not included). It's quite the feat unless you're Ryan Howard or Mark Reynolds. Unfortunately, cycles and no-hitters are all the rage nowadays. Not for me, though. I will pour over the box scores to bring you the finest at swinging and missing. Mr. Alvarez, we meet in this segment so soon. I touted your arrival on June 15th and foresaw this day coming. I didn't think it would be nine games into your big league career but that's no reason we shouldn't throw a party. Dude, you're a power hitter, these things will happen. I have Patron on ice and Jay-Z is going to sing Pittsburgh State of Mind. 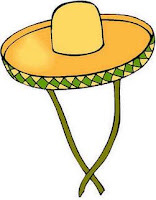 Okay, I have Costco Tequila and a Steely McBeam pinata. Okay, I have a cactus and a small bag of Peanut M&M's, jerk. Let's just see how you went down in flames tonight. Top 1st: Alvarez struck out swinging against Ben Sheets. Ben Sheets is from Louisiana and enjoys fantasy football and arm injuries. Top 3rd: Alvarez struck out swinging against Sheets again. Raise your if hand if you thought Sheets would pitch this deep into the game/season. Top 6th: Alvarez struck out swinging against Sheets. MTD Hat Trick. Everybody with me now, he struck out 3 times, the same way against the same pitcher. Top 8th: Alvarez struck out looking against Jerry Blevins. Don't worry, you'll be fine. It happens to the best of us. That 4-year, $6.4 million contract you signed? That's a little more than I made in the past decade.